1. 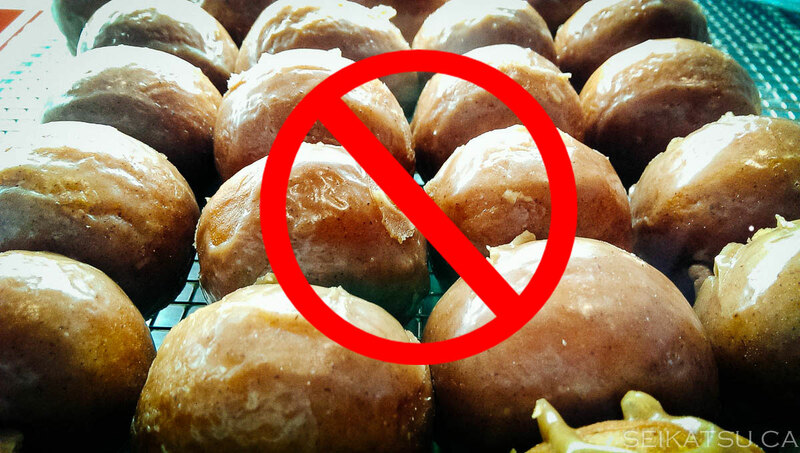 Avoid Tim Horton’s Timbits. When you’re in Canada, it’s inevitable that you’ll visit a Tim Horton’s whether to grab a cup of coffee, to study, or to meet with friends. Tim Horton’s has a lot of fat food – croissants, donuts, and of course, Timbits. Timbits are the worst offenders since they are so cheap and filling. When you’re studying in a Tim Horton’s, it’s the easiest thing to buy! However, we highly recommend that you buy a vegetable sandwich (not on the menu) or go to Subway’s. A Subway footlong sub special is only $6, really filling, much healthier, and good for two meals. 2. Eat before going to a house party. If you go to a house party, especially one with younger people, many will get lazy and bring chips and Timbits as snacks. This is terrible for your waist. Try to solve the problem by having a healthy meal before going out. And don’t bring Timbits to the party. 3. Split a real meal at The Madison. Again, it’s highly likely that you’ll visit The Madison to hang out with friends. Many students tend to hang out and throw their farewell parties at The Madison Pub. The cheapest items on the menu tend to be fries, poutine, and onion rings, all of which are super heavy and bad for your waist. Nachos are shareable and seem healthier, but they’re not! The Madison nachos are poor quality (the only nachos we thought were worse are at Marquis of Granby on Church Street. “yuck!”). Sweet potato fries are available, but they are NOT any healthier, contrary to popular belief. In fact, they’re really greasy and as you can see, cost $7. For $4 more, you can get a vegetarian burger or chicken sandwich combo, which is WAY better. It’s big enough to share with a friend too, and you can have it with a salad or soup instead of fries. Click here to see their most updated menu. 4. As with the tip above for The Madison, do the same for all other bars. 5. Avoid impulse buys at supermarkets. 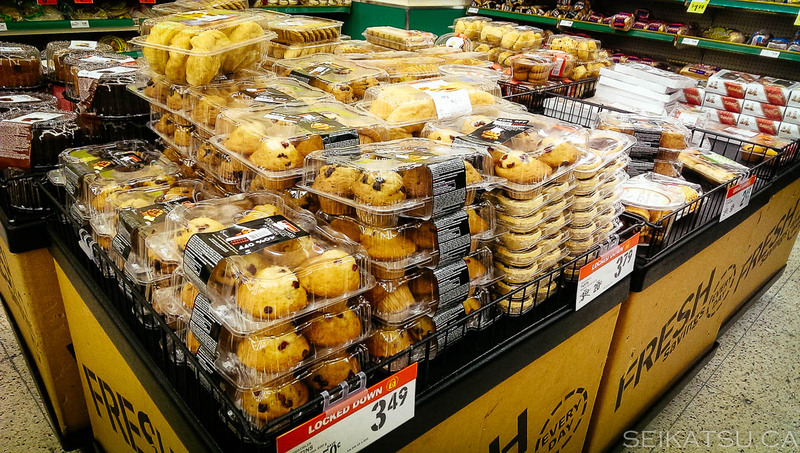 If you go to Canadian supermarkets and especially Walmarts, you’ll notice that the entrance and cashier area is stocked with cheap, high-calories snacks (in Canada, we call them “impulse buys”). 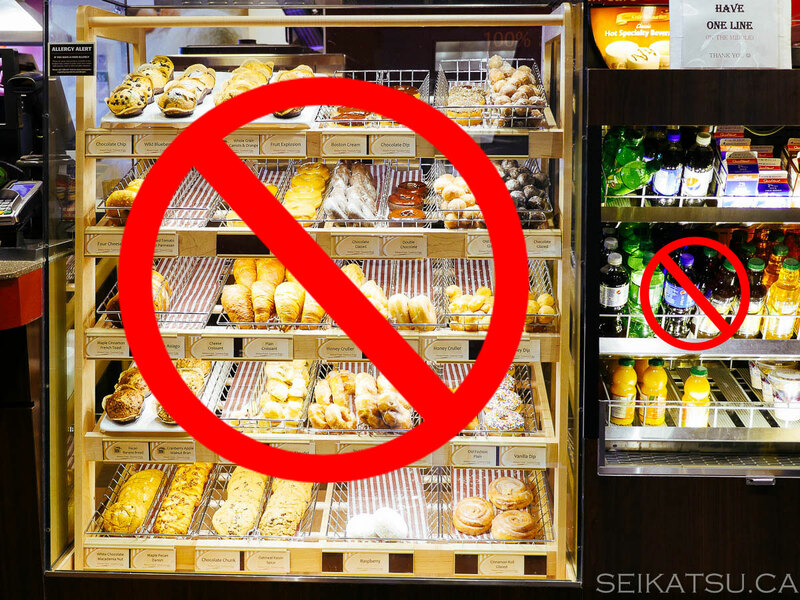 These foods include croissants, cupcakes, pies, donuts, cookies and chips – all high-calorie foods. Don’t buy these. Again, just like Tip#2, don’t go to a supermarket with an empty stomach. By the way, if you want to pronounce croissant like a real Canadian, listen to this file. Tip: the ‘r’ is silent. 6. Go to Asian supermarkets if possible. Asian supermarkets have snacks too, but they also have food that’s similar to what you buy at home in Japan, so you’ll more likely shop for groceries like you do back at home. Instead of heavy pasta and cream sauce, you can buy rice noodles and miso soup. Instead of frozen microwave food, you can buy frozen shrimps or fish. Instead of potato salad and cheese, you can buy kimchi and egg tofu. 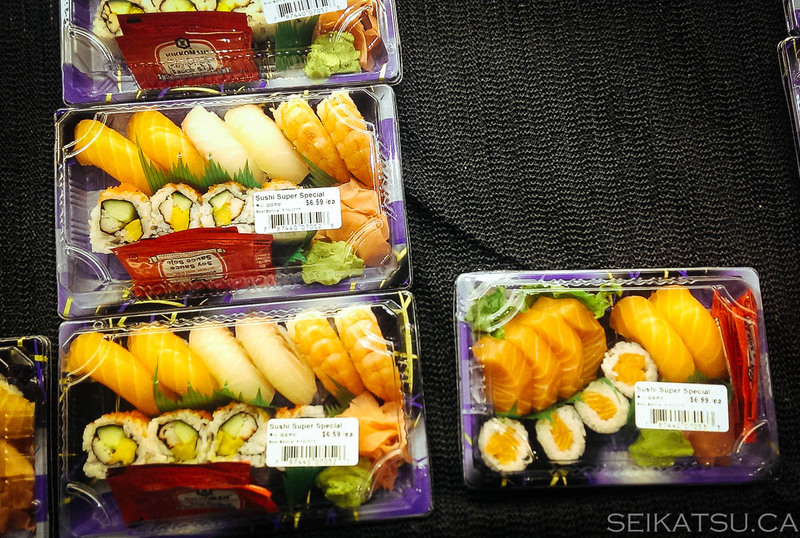 Note that many Canadian supermarkets carry common Asian ingredients, and at decent prices too. 7. Avoid soda. 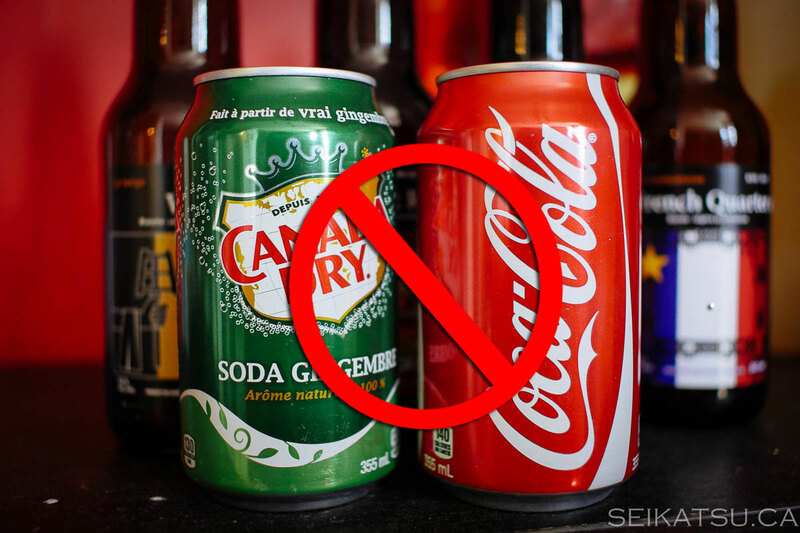 Canadians drink a LOT of soda (Canadians call it ‘pop’), but you don’t have to. If you haven’t picked up this habit, then it’s best to stay off of the habit, especially at house parties. Bring cold sugar-free tea instead, just like you can get in Japan. You’ll save money and stay slim. 8. Once again, DON’T EAT TIMBITS!